We can win any amount of games you desire. 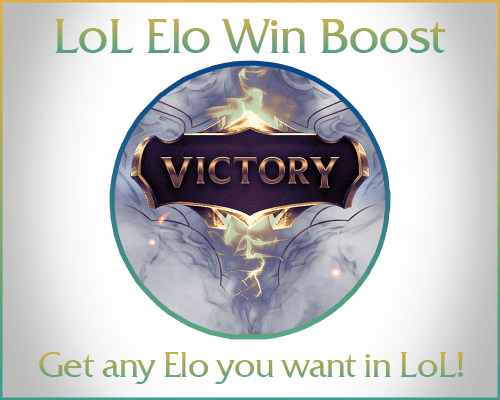 Win Boosting is completed by our professional boosters who have a high win rate allowing them to complete your boost very fast. Buying Win Boosting is a great way to make sure you get a promotion that you worked so hard for. These are net wins - meaning if you buy 8 wins - the boost can go 8:0, 9:1, 10:2 and so. All our boosters are notified of your order guaranteeing you a fast start. Feel free to chat with your booster in the Members Area as well. Yes, we got boosters on every region. No, we won't be using the in game chat. Is it a problem if I'm in low priority queue? Unfortunately, we can't boost you if you are, you will have to get out of it before buying boost. We can deliver about 6-10 games a day. Sometimes under certain circumstances it could be more. Awesome service! Can highly recommend. Winning everything and balancing KDA!